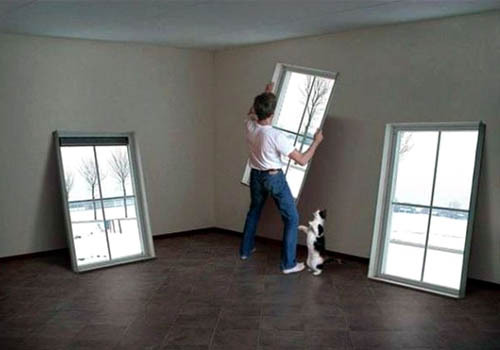 This is unbelievable – an experimental invention that creates fake windows, whose images you can change with the push of a button on an iphone app, according to your tastes !! These ‘fake windows,’ that the inventors are calling ‘Winscape,’ contain life like images, whose perspective changes depending on your position relative to them, as a result of a wii kinect sensor and a magic box. What are you rambling about, Rob ? If I was a venture capitalist with pots of cash to spend, this would certainly be worth a look if you could simplify the construction process and market it properly ? At the moment it’s horribly packaged but the product is extraordinary.